This International Congress aims to bring together scientists and clinicians with a medical or an allied health professional background to participate in connecting neurorehabilitation and neuroscience. Both the neurorehabilitation and neuroscience field evolve significantly and in order to optimize patient treatment, both areas should discuss current and emerging research as well as clinical practices in order to advance knowledge. Keynote lectures covering basic neuroscience in animal models up until implementation science will be presented and form the basis for discussion among international colleagues. Focused symposia of current and emerging methods in neurorehabilitation together with oral and poster presentations will further stimulate debate, interaction and networking. This Congress is organized by the Dutch Society for NeuroRehabilitation, the Belgian Society for Neurorehabilitation the German Society for Neurotraumatology and Neurorehabilitation and the Association of Chartered Physiotherapists Interested in Neurology. Alexander Geurts received both his MD (1987) and PhD (1992) degree in medical sciences at the Radboud University in Nijmegen. He was registered as a physiatrist by the European Board of Physical Medicine and Rehabilitation in 1997 and as a clinical epidemiologist in the Netherlands (SMWBO) in 2001. Since 1992, he continued his main research in balance, gait and motor recovery with a focus on neurorehabilitation, especially the rehabilitation after stroke and in patients with neurodegenerative and neuromuscular diseases. Since 1998, he has been (co-) chair of several national research programmes in neurorehabilitation funded by the Netherlands Organisation for Health Research and Development (ZonMw) (“Recovery of gait after stroke” 1998-2005; “Cognitive rehabilitation” 2000-2007; “Restore4Stroke” 2010-2015; www.restore4stroke.nl) as well as principle investigator in several other national research consortia funded by ZonMw (“Explicit-stroke” 2008-2015; www.explicit-stroke.nl; “Facts-2-NMD” 2008-2015; www.facts2nmd.nl). In 2005, he became full professor and chair of the Department of Rehabilitation at the Radboud University Medical Center and, since 2009, he was appointed as principal investigator (PI) at the Donders Institute for Brain Cognition and Behaviour of the Radboud University (www.ru.nl/donders). In 2011 he was also appointed as principal lecturer (PL). 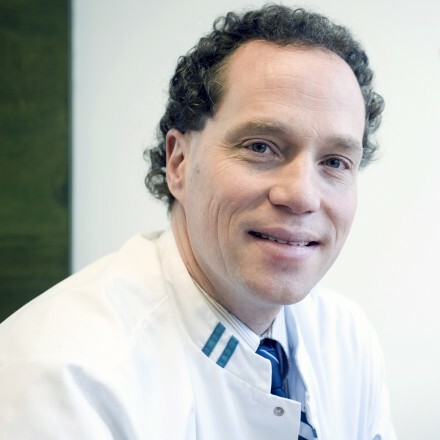 Since many years, Alexander Geurts has a clinical and scientific affiliation with the rehabilitation centre of the St Maartenskliniek and with rehabilitation centre Tolbrug (Den Bosch). He is member of the scientific advisory board of the Dutch Brain Foundation (www.hersenstichting.nl),vice-president of the Dutch Society for Neurorehabilitation (DSNR; www.neurorehab.nl), clinical leader of the programme Neurophysiological Devices within the IMDI Neurocontrol (www.neurocontrol.nl), and board member of the Dutch Society for Rehabilitation Medicine (VRA; www.revalidatiegeneeskunde.nl). He has (co-)authored more than 150 peer-reviewed Medline registered articles in various areas of neurorehabilitation. Professor Gert Kwakkel started his career as a physical therapist and movement scientist at the VU University medical Centre in Amsterdam. In 1998, he received his PhD on the thesis entitled: Dynamics in functional recovery after stroke. Professor Kwakkel received a chair ‘Neurorehabilitation’ at the VU University Medical Centre in Amsterdam in March 2008. This chair is dedicated to translational research in the field of neurorehabilitation with special interest in Stroke, Parkinsons’s Disease and Multiple Sclerosis. Professor Kwakkel published more than 230 papers in leading scientific journals such as The Lancet, The Lancet Neurology, BMJ and Stroke (Hirsch Index 53). Based on a prestigious advanced grant from the European Research Council (ERC), Professor Kwakkel belongs to one of the top researchers of the VU University in Amsterdam. This ERC idea is in collaboration with the Technical University of Delft (Prof. dr. Frans van der Helm) and focused on investigating the longitudinal relationship between stroke recovery and brain plasticity. 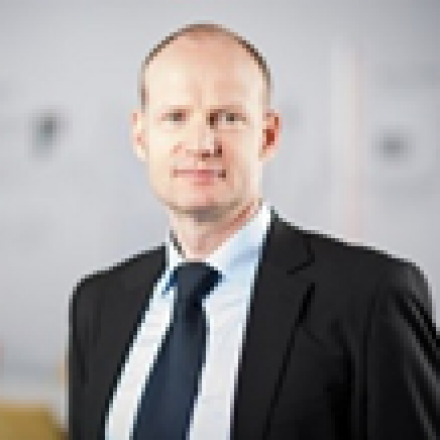 Professor Kwakkel is member of the management board of Research Institute Move at the VU University, Amsterdam NeuroScience and European Managing Editor of the journal Neurorehabilitation & Neural Repair (NNR). In addition, he is member of the editorial board of the International Journal of Stroke, Journal Rehabilitation Medicine and Physiotherapy Research International Research. Finally, professor Kwakkel is president of the Dutch Society of NeuroRehabilitation (DSNR; www.neurorehab.nl). Professor Jan Mehrholz is head of the scientific institute in Kreischa, Germany. He works as a clinical researcher and as a professor for physiotherapy, Hochschule Gera, Germany. He is also Privatdozent (‘associate professor’) for Public Health and supervisor of MD and PhD students at the Faculty of Medicine of the Technical University, Dresden, Germany. Jan is lecturing neurosciences, neurorehabilitation, evidence based practice, applied statistics, and public health. He works for three Cochrane Collaboration Groups and has published more than fifteen Cochrane publications (full reviews, updates and protocols). His research relates to evidence-based stroke rehabilitation, Parkinson’s disease, spinal cord, critical illness polyneuropathy and myopathy and other neurological diseases. Geert Verheyden is a physical therapist and graduated from KU Leuven (Belgium) in 1997. He specialized in neurorehabilitation in 1997-1998 (KU Leuven) and worked clinically in a neurological rehabilitation centre in Bad Windsheim (Germany) from 1998 to 2000. In the period 2000-2006, he was research assistant at the department of rehabilitation sciences at KU Leuven and in 2006, he obtained his PhD in rehabilitation sciences and physiotherapy with the thesis ‘Trunk impairment after stroke. Development of a clinical tool to predict functional outcome and determine recovery patterns.’ From 2006 until 2010, he was a post-doc Roberts fellow in neurosciences at the faculty of health sciences at the University of Southampton (UK) where he was part of the Stroke Association Rehabilitation Research Centre, a 5-year funded research programme by the UK Stroke Association. In 2010, he became professor of neurorehabilitation at the University of Applied Sciences in Bochum, Germany and since October 2011, he is appointed as professor in the neuromotor rehabilitation research group at KU Leuven. Geert is also academic consultant at the stroke and head injury rehabilitation ward of the University Hospitals Leuven, and visiting research fellow at the University of Southampton. The research areas of Geert Verheyden comprise clinical, kinematic and neurophysiological studies in the field of neurorehabilitation, with an emphasis on stroke rehabilitation. Clinically, he investigates somatosensory deficits in the upper limb post stroke (PhD student Sarah Meyer, funded through KU Leuven), and he is part of the European consortium VIRTUES, which conducts a multicenter trial evaluating the effect of virtual reality for the upper limb post stroke (funded through the Norwegian Research Council). Kinematically, he studies turning in people with Parkinson’s disease (funded by Parkinson’s UK; PhD student Sophia Hulbert), as well as people with stroke (PhD Rufai Ahmad). He is also co-supervisor of a PhD project (Winifried Backhaus) investigating the influence of sleep on implicit and explicit motor learning, in collaboration with University Hospital Hamburg-Eppendorf (Gemany). Neurophysiologically, Geert examines the use of transcranial direct current stimulation (tDCS) in combination with motor therapy for the upper extremity in people after stroke (PhD Lisa Tedesco Triccas, funded through an EU-Malta scholarship and the University of Southampton), and he evaluates the effect of tDCS on writing skills in healthy elderly and people with stroke. Finally, he studies neural correlates of somatosensory deficits through brain imaging including 3D FLAIR MRI, DTI and resting state fMRI (funded through the research foundation Flanders – FWO). Geert is a deputy editor for the journal Physiotherapy Research International and treasurer of the Belgian Society for Neurorehabilitation (www.bsnr.be). Dr. Erwin van Wegen is working as a senior researcher in neurorehabilitation at the department of Physical Therapy / Rehabilitation Medicine at the VU University Medical Center (VUmc) in Amsterdam, The Netherlands. 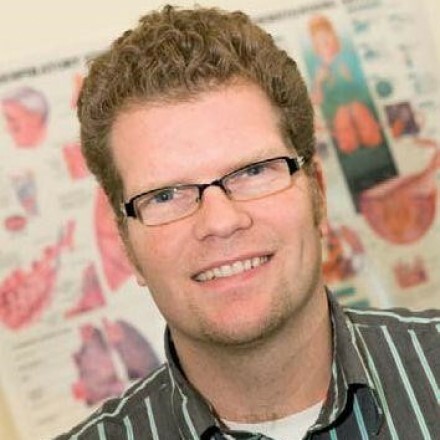 Educated as a movement scientist in motor control and rehabilitation, Dr. van Wegen is principal/associate investigator on several grants in the field of neurorehabilitation (o.a. ZonMw, Hersenstichting, Stichting Parkinson Fonds, Parkinson Society, EU) and coordinator of several teaching courses on movement disorders and rehabilitation at the MOVE research institute Amsterdam and the faculty of Medicine at the VUmc. His subjects of interest are the coordination of locomotion and balance, as well as motor control, (neuro) rehabilitation and neuroplasticity in movement disorders, specifically in Parkinson’s Disease (PD), stroke, MS and the elderly. At present Dr. van Wegen is senior member of the Neurorehabilitation Unit at VUmc headed by Prof. Dr. G. Kwakkel, and local VUmc coordinator and steering group member in the 4DEEG project (an ERC funded grant awarded to Prof. dr. G. Kwakkel from the VUmc and Prof. dr. Frans van der Helm from the Technical University of Delft), which is focused on investigating the longitudinal relationship between stroke recovery and brain plasticity on early upper extremity rehabilitation in stroke patients. Dr. van Wegen is also a Hersenstichting Fellow, member of several editorial boards of peer-reviewed journals, member of scientific research committee of the MOVE translational research institute (www.move.vu.nll), and deputy-treasurer of the Dutch Society of Neurorehabilitation (DSNR, www.dsnr.nl). 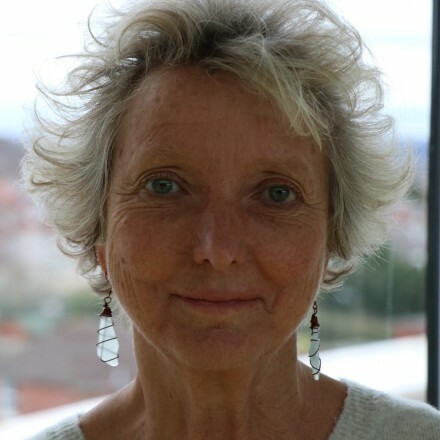 Jane Burridge is Professor of Restorative Neuroscience at the University of Southampton, where she leads the Neurorehabilitation Research Group. Jane’s research is about improving recovery of movement following acquired brain damage. Fundamental to this is understanding the mechanisms associated with normal, loss and recovery of motor function. Jane’s work crosses traditional rehabilitation boundaries, collaborating with engineers, neuroscientists and psychologists. She was elected President of The Association of Chartered Physiotherapists in Neurology (ACPIN) in March 2017. Jane graduated as a physiotherapist, but later changed career and trained as a musician playing and teaching the flute. Her PhD at the University of Southampton enabled response to Functional Electrical Stimulation for drop-foot to be better predicted by accurate measurement of muscle dysfunction. Jane’s current research is with wearable sensors to support home-based rehabilitation and generate objective measures of impairment. She leads a research programme into the use of the Internet to support home-based rehabilitation, and is particularly interested in understanding how rehabilitation technologies can translate into clinical practice. Jakko Brouwers is the Honorary Chair of ACPIN (Association of Chartered Physiotherapists In Neurology), where he leads the Board activities and oversees the running of the 18 regional committees with each an educational programme for local therapists. ACPIN has just over 3000 physiotherapy and other professional members in the UK and also has members abroad. Jakko completed physiotherapy training in Heerlen (the Netherlands) in 1995 and has worked in neuro rehabilitation settings in Germany, Austria, Switzerland, England and Wales. He has been therapy lead for neurosciences in Wales and clinical service manager at the national specialist rehabilitation centre in Wales. During this time, he completed his MSc in Neuro Science Physiotherapy at Cardiff University. He later became a senior manager for performance and improvement at Cardiff and Vale University Health Board. Currently, Jakko works as clinical director and expert neuro physiotherapist at the Morrello Clinic in Wales where he continues to specialise in Stroke, Parkinson’s and ABI rehabilitation. Here he has access to Virtual Reality and Augmented Feedback equipment as well as FES devices for lower and upper limb rehabilitation. He is a keen advocate for increasing the intensity of rehabilitation input and has set up intensive group sessions in Stroke and PD using technology where appropriate.